Hello to you all! Today I decided i’ll join the WIAW fun! I did not picture only what i ate today but some of my past week eats too. So this includes desserts, sides and some main dishes I really liked recently ! I hope you enjoy watching my marvelous eats 🙂 and thanks to Jenn from peas and crayons for hosting us. This is supposed to be a shrimp wok. It was kind of a disaster and tasted more like a soup. 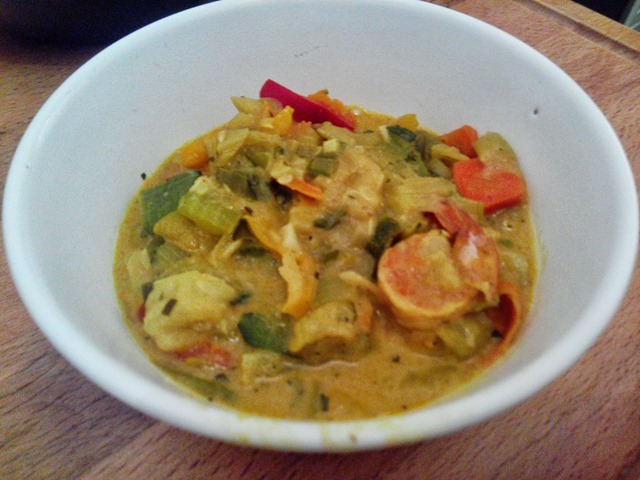 Since I suppose you did not guess what’s in it: carrots , zucchini and all colors of peppers and shrimps of course. Best side salad ever!! 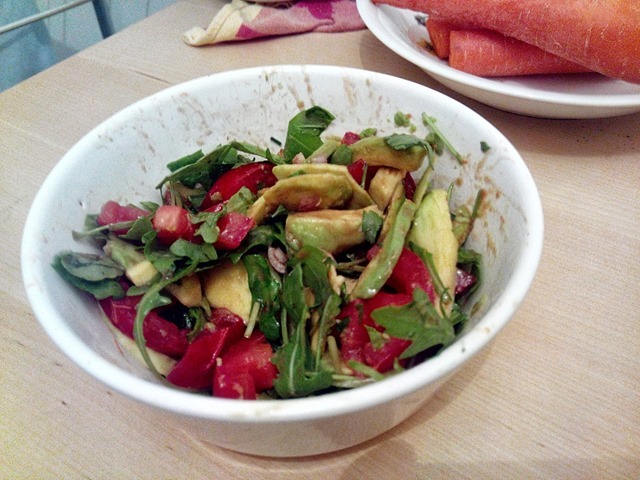 Avocado, tomatoes, shallots and cilantro topped with lime shiracha dressing. Yesterday night I had a pizza slice and to make it more healthy I completed it with this salad. Turns out the salad was better than the pizza itself. 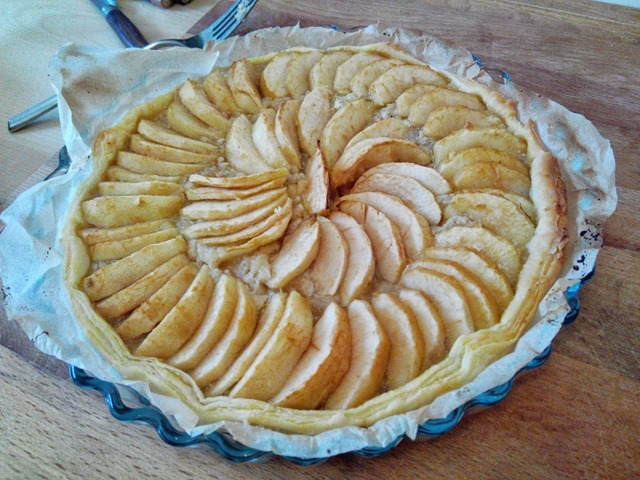 Apple pie : one of the easiest desserts to make! 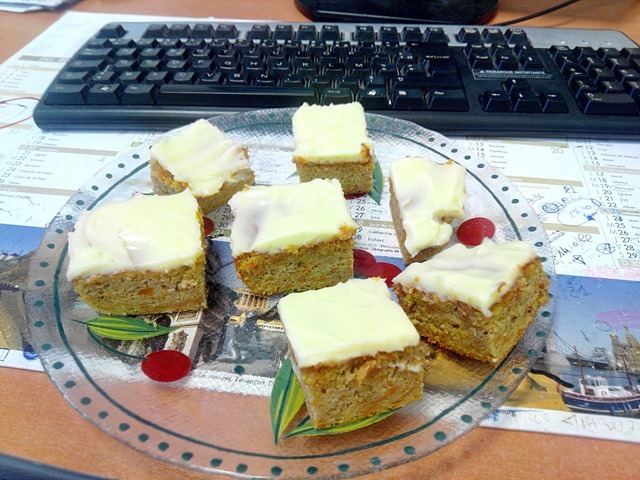 Carrot cake: seriously the best I have made in a long time. I brought it to work and could not take a single piece home. Everyone loved it ! I’ll try to give you the recipe soon. 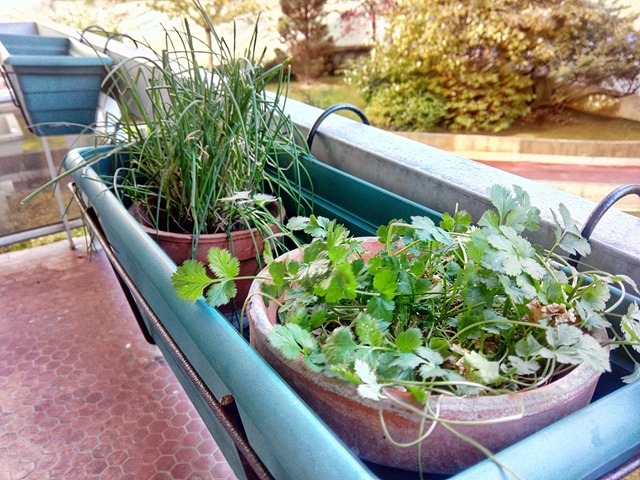 My new herbs on the balcony! I hope you enjoyed you’re daily eats to! And you what did you eat today ? Do you grow herbs on your balcony? Can I eat what you are eating? 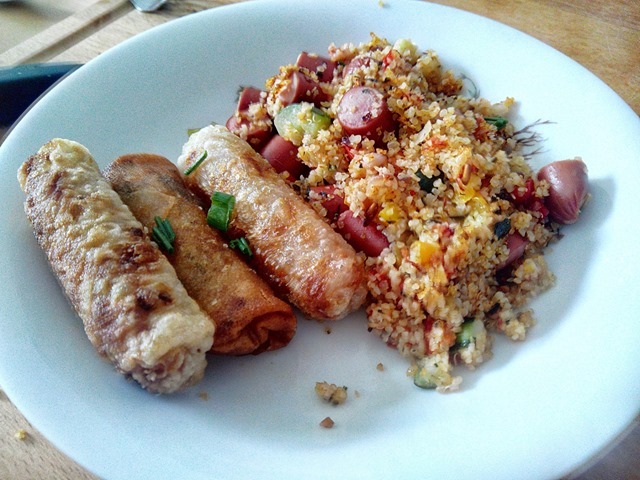 Those vietnamese spring rolls look amazing. Fried rolls of heaven is what I would call them.